With the economy firing on all cylinders entering 2018, diversifying into real estate investing is a great way to earn healthy returns over the long term. Wholly owned single-family rental real estate will continue to perform well throughout the year, as rental demand remains strong and employment growth expands in non-coastal markets like Atlanta, Dallas, Charlotte and other southeastern locations. While earning healthy returns on residential properties requires very little work, managing these properties is a whole different ballgame. Being a successful property manager can be a daunting responsibility that requires patience, legal expertise and years of real estate experience. A property manager is a third-party entity hired by a landlord to run the day-to-day operations of an investor’s residential real estate investment. Property management seeks to assist landlords at every step of the leasing process. 1. The Challenge: Collecting Rent. Perhaps the most important part of a third-party manager’s job is to collect rent from tenants on a monthly basis, and to ensure that they have high enough credit scores to pay their rent. To start with, running the credit or FICO scores for every tenant can be a major expense that will cut into your profits as a landlord. Often, these fees are passed on to the potential tenant. As for rental payments, even with an automated system or software in pace, property managers run the risk of not receiving their checks on time. Often, they have to send emails, make phone calls, send letters, and in some cases, even take legal action to collect back rent. Tenants might even become delinquent in their payments, which would require the landlord to take legal action or begin eviction proceedings. According to the U.S. Census Bureau, more than one-fifth of single-family renters were delinquent in their monthly payments at one time or another over the past two years. Evictions can take a long time, which means you could be losing rental income for months during the proceedings. Additionally, the legal proceedings can be expensive. 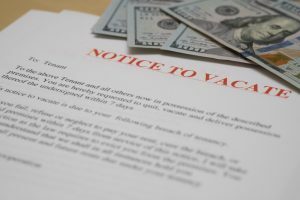 Evictions or collecting back rents almost always require hiring an attorney, which is another major expense associated with property management. The Solution: Use an experienced management team to vet all new tenants that will be living in your property. This same company can run credit or FICO scores on your behalf without any hassles, collect rent for you, manage your software systems and track down tenants who are tardy with their monthly rental payments. HomeUnion® offers an Asset Management division that does just that: We hiire local, on-the-ground real estate professionals to collect rents on your behalf as a remote real estate investor. If you’re an investor who owns a tenanted property in Atlanta, for instance, but lives in Manhattan, you’ll never have to worry about collecting rent from your tenants. HomeUnion® will make every effort to ensure your tenants pay their rent on time. We send all of the emails, make the phone calls and address any payment concerns so that you don’t have to. Because of our thorough due diligence, in-depth knowledge of each local market we operate in, and ability to analyze big data, HomeUnion® is able to identify neighborhoods where evictions are less common. Furthermore, HomeUnion® has strict qualifying criteria that ensures tenants are able to meet their financial responsibilities. 2. Rehabbing Your Asset: Rehabbing or renovating your property once a tenant has moved out can be extremely expensive. Most local residential investors prefer to manage the remodeling or rehabbing process onsite themselves, which requires countless extra hours of time. If you’re also a busy investor with a full-time job as a lawyer, physician or engineer, you might not have time to dedicate to rehabbing your property. Additionally, contractors are extremely in today’s market, and smaller, single-house rehabs are often the lowest priority for the best construction companies. The Solution? Use an experienced management team to handle the rehab and re-tenanting process for you. Of course, there are expenses involved in rehabbing a property, but it’s always renovated to the highest standard – what we call the HomeUnion® Home. Since all HomeUnion® properties must adhere to these standards, you don’t have to worry about craftsmanship. Our renovations are designed to maximize the length of tenant leases. 3. Providing Excellent Customer Service: If you own one or two investment properties but have a full-time job, you might not be able to dedicate your time and resources to providing exceptional customer care to each one of your tenants. Not responding to requests or problems on time can result in angry or upset tenants that want to terminate their leases as soon as possible. 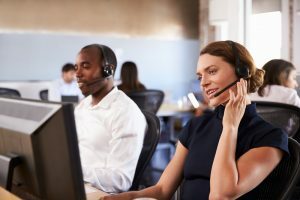 Poor customer service can reflect poorly on your personal reputation as an investor or business person if a disgruntled tenant decides to take their concerns out publicly on social media, for instance. The Solution? Use an experienced management team to handle all interactions with your tenants, so that you don’t have pick up a second job as a customer service representative. At HomeUnion®, a team of dedicated customer service experts are on call 24 hours a day to deal with issues as they arise. Whether a water heater breaks in the middle of a Chicago winter, or a toilet overflows in Orlando, we have professionals available to take your tenants’ calls or emails around the clock. Using an online platform to diversify into real estate investing is simple at this stage in the economic cycle, with many companies in the SFR industry offer this service. However, no other firm except HomeUnion® provides a complete, end-to-end investment and management solution for all of your residential real estate needs. Unlike our competitors, we offer the only combination of big data analysis and one-the-ground professionals to ensure your investment property is the best possible. When you make the decision to invest, be sure to also consider our hands-free Asset Management solution by calling (888) 276-0232 or scheduling a consultation today.